Welcome to our world of Hollywood Halloween Costumes Magic Tricks, Magician's, Make-up, Hats, Wigs, Beards, Santa Suits. If you ever visit New York please feel free to stop in and have a fun time. With over 10,000 items to choose from — Ronjo's has something for everyone. We have been serving Long Island With a full line of Makeup, Wigs, Costumes, Hats, flash products and of course Magic. We want to be there for you every step of the way and help you grow your skills in magic. 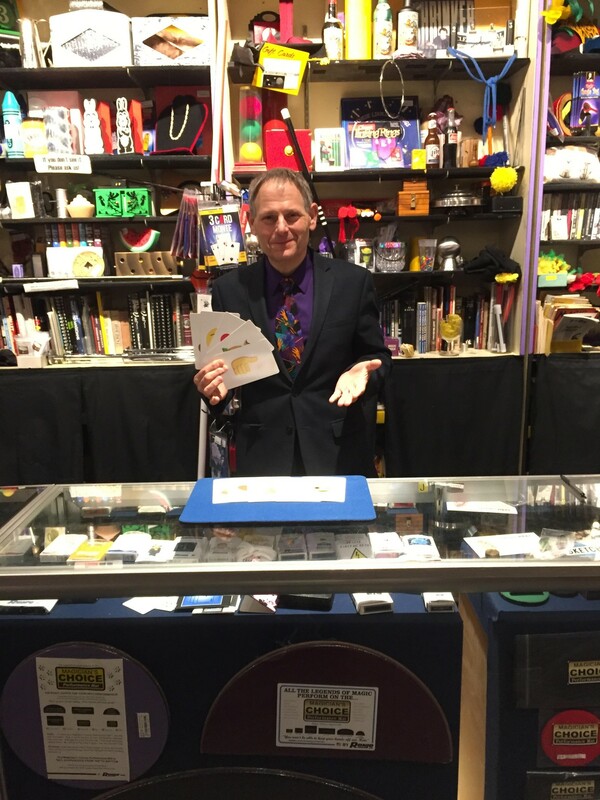 Whether you are professional or like doing magic as a hobby, we feel strongly about making sure you get the right product for your show and our staff will help you pick the right choice for your level of performance. Ronjo started in 1974 with a passion to please and entertain everyone with his magic shows. It was this passion that led to the birth of Ronjo's Magic shop. What began as a single showcase is now a full-fledged Magic shop stocking over 10,000 items. Ronjo also produces our own product line ranging from close-up to parlor and stage magic. Emojination shown in the photo is one of our fun magic creations. So when did the costumes and makeup come into Ronjo's? A few years after being just a magic shop we had a few performers ask us for our help selecting wigs, makeup, and costumes. We started to get more requests and the costume side of Ronjo started. We always picked the best of the best just as if we were buying it for ourselves. A few years later Halloween customers started to come in and customers loved what we had to offer. We like to think we are more like Hollywood than Halloween and we select our merchandise with the same feelings as always for our clients. From school plays to Broadway productions — we want to be part of your show and be your supplier for all your props. In addition to selling magic tricks and Halloween costumes, Ronjo Entertainment provides professional entertainment and event planning services to clients in Nassau and Suffolk Counties. Some of our services include Magic Shows, Balloon Twisting, Face Painting, Costumed Character Visits, Fun Food Rentals, Bounce Houses and much more! For more information visit www.ronjoentertainment.com.